Today the world celebrates the International Day Against Anorexia. Despite the doctors saying that this is a serious illness, and its consequences can be devastating, many still do not treat anorexia seriously. Someone perceives it as a whim of the rich and famous (it's no secret that in the model industry and show business, anorexia is practically a "professional diagnosis"). Someone in general believes that this is a "fashionable disease", and the search query "how to get sick with anorexia?" Is popular on the Internet - which is particularly frightening! In fact, there is nothing beautiful and glamorous in this food frustration, of course, and everyone can suffer from it, regardless of the kind of activity and appearance. Problems with almost all internal organs, collapsed immunity, hormonal disruptions, severe depression and not a blooming appearance - this is only part of the list of troubles, which leads the disease. For many of the stars that suffered or suffer from anorexia, it was this problem that caused career crises, some of whom lost their careers at all. Let's remember who from celebrities admitted that they have experience of fighting anorexia. And ask the opinion of a specialist. Figure skater Yulia Lipnitskaya, thanks to her success on the ice, won the admiration of thousands of fans, but more recently they were shocked by the news that the 19-year-old sportswoman is finishing her career. According to Julia, the main reason for parting with sports is anorexia, which she suffered for three years. the girl declared about the termination of career soon after she passed three-monthly course of treatment from this frustration in Israel. "For a long time, as I grow up, I have been consistently struggling with this problem and I am very proud of the results that I have already achieved". Lily Rose admits that comments are very much offensive in social networks, where people discuss her figure: "She does not eat anything," "She has anorexia," "Feed her," and the like. Also, the girl is annoyed when she is accused of propagating a painful thinness. Demi Lovato in show business since childhood. The celebrity herself says that, perhaps, it provoked the development of a whole series of disorders. Part of its complexes, the singer explains that it was too early to go on stage, where she was evaluated in appearance. It's about children's beauty contests, in which the future star participated. I remember how I looked in the mirror and thought that I was fat, - she says. At the age of 18, Lovato went to the clinic, where she was treated for anorexia and bulimia. I will not hide: there were days when I did not want to get out of bed, simply because I was embarrassed by my own body, Says Demi. In addition to the problems mentioned, she also struggles with bipolar disorder. Lady Gaga several years ago turned to the fans, telling that at the age of 15, she started fighting with anorexia and bulimia. The weight of the star is still constantly changing: apparently, she did not manage to cope with the problems. 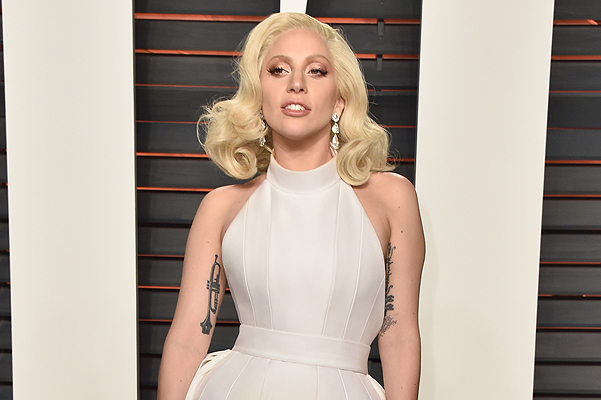 However, as Gaga assures, now she is "happy in any size". Christina Ricci says that in her time she started to diet and at the same time saw a documentary about anorexia. Christina perceived it as a signal to action and began to lose weight extremely. The celebrity was obsessed with her weight from the teenage age: then she was already actively withdrawn and felt unconvinced. It is difficult to grow up and become a woman when you are always evaluated. All these fitting for shooting, where people constantly judge that it looks good on you and what does not - it makes you feel awkward, Says Ricci. In the late 90's Jessica Alba got a role in the series "The Dark Angel." By the beginning of filming, the actress began to train hard and lose weight, which eventually led to the development of her anorexia: "Many girls are familiar with eating disorders, and I'm no exception. I was obsessed. When from a teenager I began to turn into a woman, with natural deposits of fat in the right places, it just made me mad. Jessica managed to overcome anorexia with the help of specialists, and now, according to her, the illness is over. 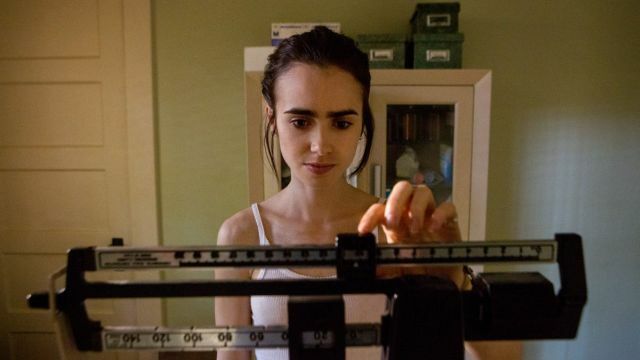 Lily Collins starred in the movie "To the Bone", which is devoted precisely to anorexia. It was not difficult to get used to the actress's image: she herself experienced an eating disorder. 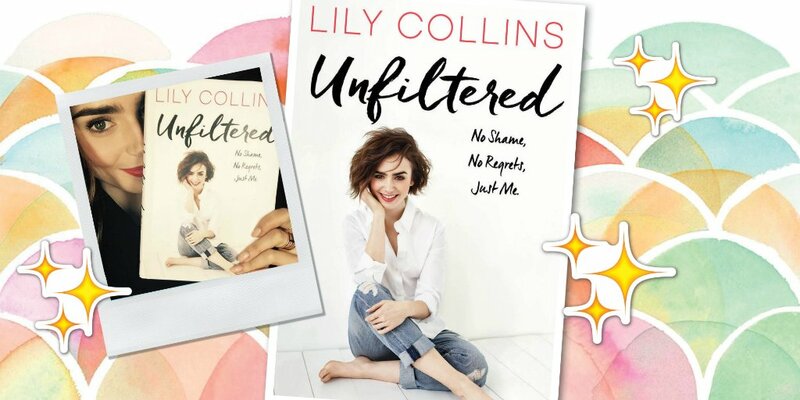 As Collins admits, the role was exciting for her, because she revived all the memories of the period when the celebrity had anorexia and bulimia. For filming, Lily needed to lose weight, but this time, assures the actress, she reduced weight gradually, solely due to a healthy diet. Anorexia is less common among men, but there are still such cases. 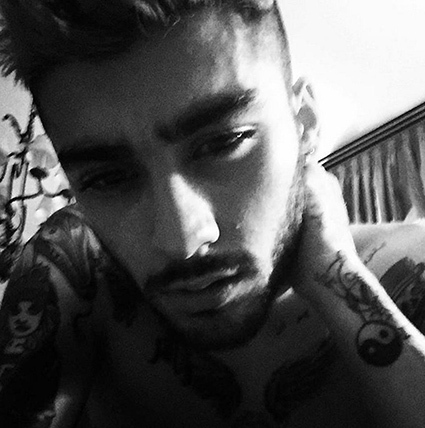 Zayn Malik told the book about his life that this happened to him shortly before he left the One Direction group. As the singer says, he was never diagnosed with anorexia, but he could absolutely not eat anything for two or three days, lost much weight and even missed important activities related to the release of the album of the group. Then there were rumors that Malik was being treated for harmful addictions, in reality he was fighting with other "demons". I did not try to lose weight, I did not understand what was happening to me ... I think it was due to the fact that I, I thought, did not control anything in my life, except for eating. Looking at my photos of that period, I see how much I was sick. Why anorexia develops? The disease can affect not only those who try to lose weight by virtue of the profession. Clinical psychologist at the Center for the Study of Eating Disorders Eugeny Chmutov confirms that anorexia is a common and serious disease, and calls several causes of the disease. 1 This is a way to cope with feelings that are difficult to talk about (anger, shame, guilt, fear), complex or unexpected life situations. They are not always negative, as in the case of Yulia Lipnitskaya: glory has become an unbearable burden. It seems that food is the only thing that a person can control in his life. 2.This is the way to close from problems, hide behind thoughts about food and your own weight. 3. Low self-esteem and high demands on oneself, as well as situations where a person encounters an assessment from others. People who suffer from anorexia do not feel important or worthwhile, have an extremely negative vision of themselves: "I do not like anyone", "I should like everyone", "I must meet standards". Anorexia gives a sense of achievement. According to the expert, the occurrence of anorexia is usually caused by a combination of several factors: This biological, innate emotional sensitivity or receptivity is the environment: fashion, the universal cult of a slender body, these are the features of the person and family environment, these are the psychological factors that we mentioned above, and the last drop is stress / trauma (puberty, the threat of being rejected or condemned in a meaningful community, and so on). How to recognize the disease? Evgenia Chmutova explains that in general anorexia is: Anorexia nervosa is a condition that makes people want to lose weight. Young people with anorexia are horrified at the thought that they can get fat, develop strict dietary rules, often avoid certain foods. 1 Strong fear of gaining weight. 2 The belief that the body is larger than it really is, a distortion of the image of the body. You can feel fat, even if you are very underweight. 3 Concern about thoughts about food, nutrition, weight, calories - you can spend so much time thinking about food, it interferes with other areas of life and negatively affects your attention and concentration. 4 Cleaning procedures - most people lose weight by adhering to a strict diet, but about half of them cause vomiting or use laxatives after ingestion to avoid absorption of calories by the body. These methods cause serious damage to health. What should I do? The psychologist recommends acting as follows. 1 Recognition of the disease. 2 Search for a specialist specializing in eating disorders (psychiatrist with appropriate specialization). 3 Together with a specialist, the choice of treatment depending on the stage and severity of the disease. 4Working with a psychotherapist and a psychiatrist throughout the treatment period, in addition to taking pills and individual psychotherapy, family and / or group therapy may be required. The combination of psychotherapy and pharmacotherapy is the world standard for the treatment of anorexia, it is the most effective and scientifically sound, - says a specialist.